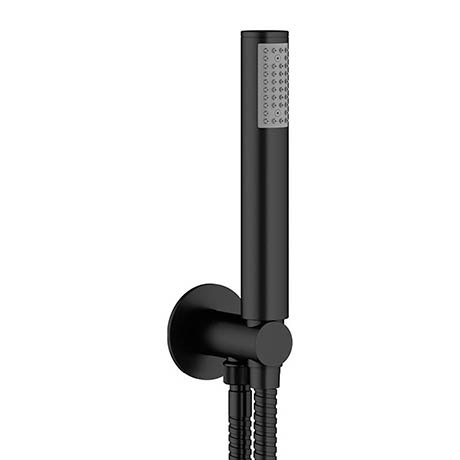 The MPRO wall mounted shower kit is designed to be used with a concealed shower valve. It features a 1.5m hose and single spray handset which sits in an outlet elbow bracket. Manufactured from brass and finished in matt black that beautifully encapsulates modern elegance.